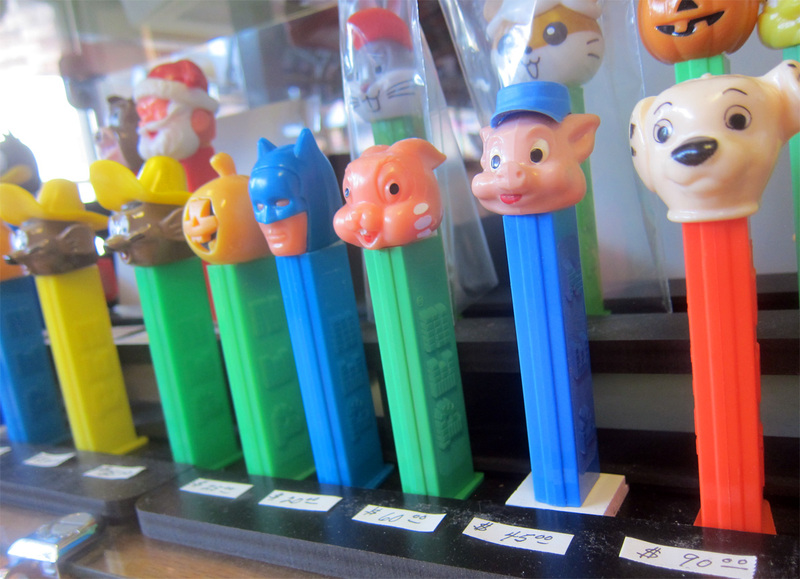 Discover lots of nostalgia and the wonderful world of Pez dispensers at the 'Burlingame Museum of Pez Memorabilia,' where you'll find "an example of every Pez ever sold." Part of the museum collection. Some hefty museum price tags for Pez—from $20 to $90 above. Few small cities can seem as 21st century as Burlingame, with a lively downtown filled with chic, expensive eateries, a Kate Spade Boutique, an all-glass Apple store. True, there are the old-school joys found at Preston’s Candies and Ice Cream, a shop that looks like it stepped right out of the 1950s in a very good way. The museum, at 214 California Drive, is open Tuesday through Saturday 10 a.m. to 6 p.m.
Pez, you say. Who cares about Pez? How about Glenn Mendelson, also of Burlingame, by all appearances a 21st century adult who just happens to check eBay every day hoping to find one of the 1,000 examples of Pez dispensers that are not already in his collection. He owns 4,000 Pez dispensers. 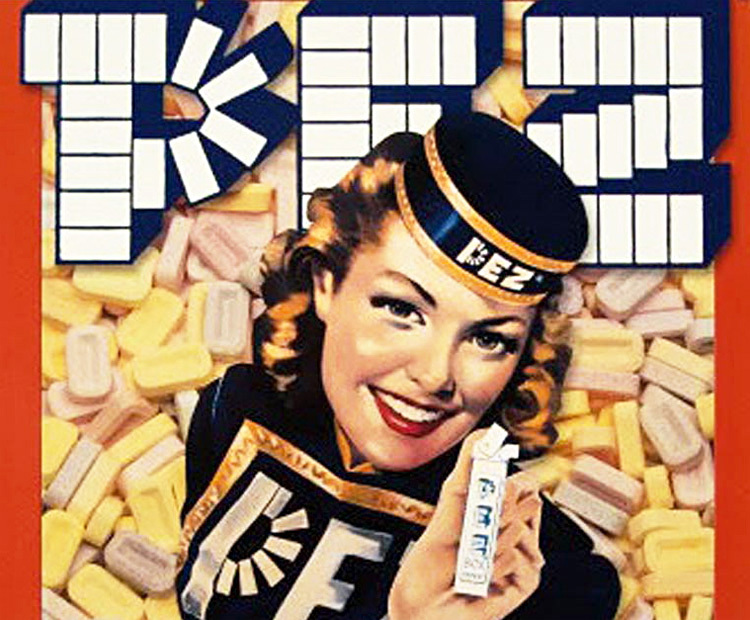 Pez, developed in the early 1950s in Austria, where both the candies and the candy dispensers are still made, took its name from the German word for peppermint, ‘Pfefferminz.’ Originally shaped like cigarette lighters, Pez dispensers soon began wearing the heads of cartoon and other pop culture characters. The first, Doss says, were Casper the Friendly Ghost, Mickey Mouse, and Popeye. Since then there have been octopi and Mr. Ugly, Wonder Woman and Lucy, Santa Claus and the Devil. We’re joking about that last one, we think. The dispensers are still rolling out, three new characters a month, and they cost as little as a buck. Doss offers a collectable Wolfman dispenser for $350. 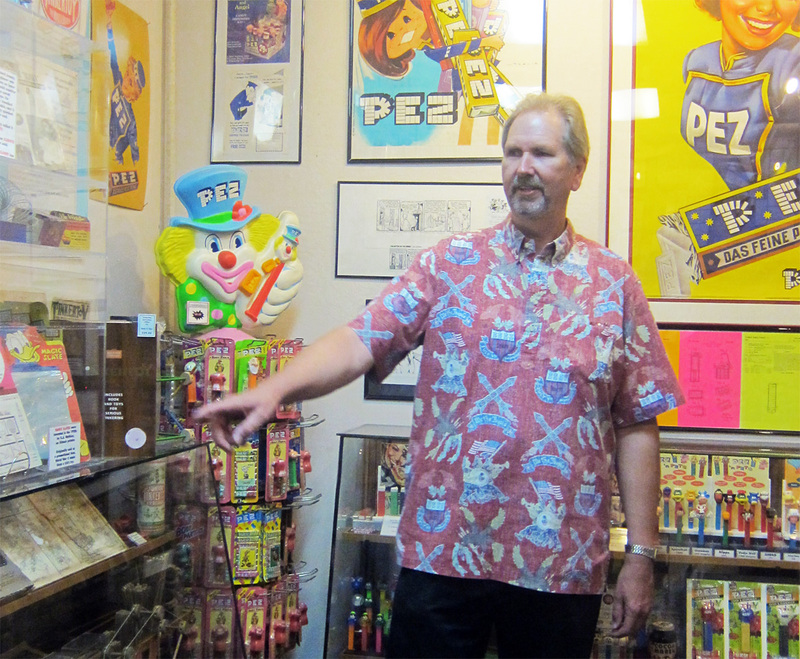 Doss runs the museum as part of his Pez collectables business and charges a small entry fee to the museum, in a room behind his retail Pez and toyshop. “There are Pez collectors all over the world,” he says, elucidating his business plan. This may not be an official, non-profit museum, but the Pez Museum has comprehensiveness about it. Along with Pez are collectable toys including from Play-Doh, Lincoln Logs, Tinker Toys and, from 1956, the Ant Farm! Accompanying each toy are panels explaining its origins and development. One of the most popular sections, Doss says, is the newest—a collection of “bad toys” that were removed from the market for reasons that should have been obvious before they were first offered for sale. The winner among these? An atomic energy lab from 1951 that came complete with—believe it!—real radioactive material. Elsewhere in the museum is another questionable item, the Pez gun. “You could shoot your friends in the head,” Doss observes. 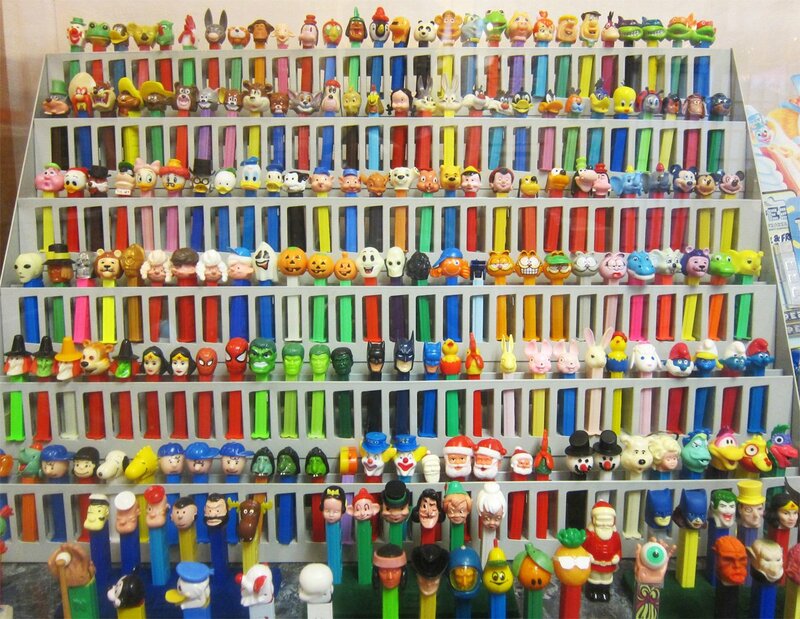 For more on the Burlingame Museum of Pez Memorabilia, click here.